Who have had the experience of trying tons of different eyeliners because you got played by your eyeliners? I mean they claimed to be smudge proof, budge proof, waterproof, stay on all day, highly pigmented yada yada but did none of all that. Me too. However, I don't have to worry anymore because I've found the one that works best for me. I have a love/hate relationship with eyeliners because it looks on fleek today, but I might look like a racoon tomorrow. My eyeliner often end up below my eyes, sometimes even for only two freaking hours and it continues to budge throughout the whole day. IN2IT really impressed me with this baby right here. Since I've started using the IN2IT Hair Brush Waterproof Eyeliner Pen, my eyeliner hardly smudges on me. Only when it's scorching hot outside. It totally gives me the assurance to know that I no longer have to check my eye makeup 637383 times throughout the day or constantly clean up the smudges or even reapply. The brush, in my opinion, is very well-designed. Why? Because I have all the control I need with this kind of brush/ tip. I can create lines that I desire whether it's a very thick or thin line. I hardly had any trouble getting the line that I want with this eyeliner. The tip is so sharp and pointed like that so when it comes to the 'wing', I can create the perfect 'wings'. The wings that can lift me higher lol. I think it's suitable for both newbies and experts because you can't go wrong with this perfectly-designed brush. I honestly prefer hair brush tip rather than a felt tip because a felt tip tends to dry and hard to achieve a sharp 'wing'. I have nothing bad to say about this eyeliner, honestly. It's so dark, it's all black (hence the name), I can achieve an insanely pigmented line in one swipe and lasts the whole without smudging on me. 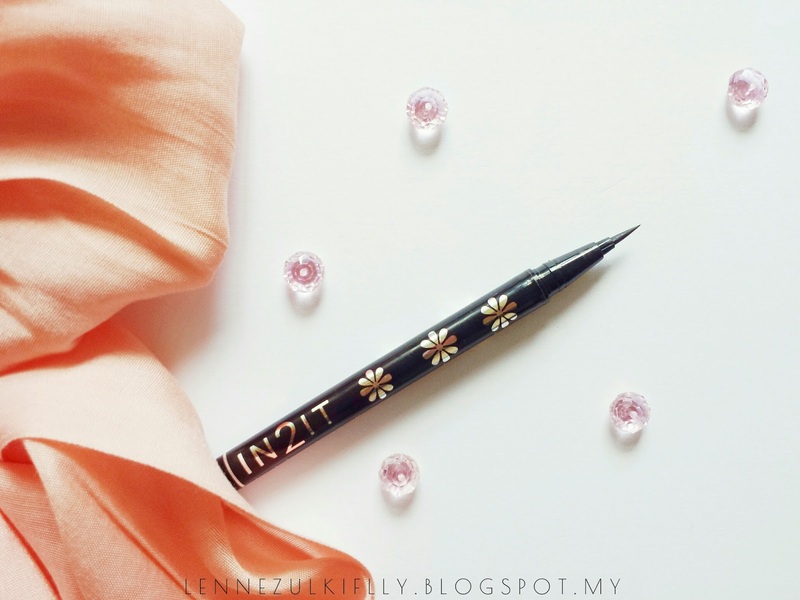 This is the IN2IT Hair Brush Waterproof Eyeliner Pen that retails for RM23.90. You can make a great deal because it's inexpensive and very high quality product. Available at Guardian, Guardian online store and Watsons! What is that one eyeliner you always go back to? I rarely use the eyeliner. But my favourite one is silkygirl. Not yet trying other brand. 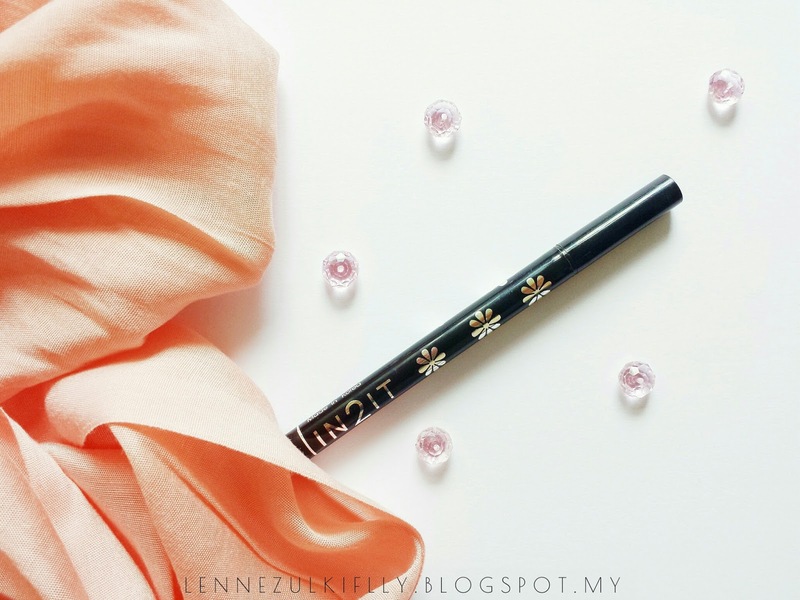 Maybelline Hyper Sharp Liner eh? If so, that one works well too but they tend to sold out super fast at my place so. 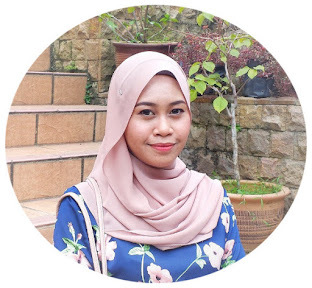 Lenne, kita suka pada produk eyeliner yang sama! Yeayy! IN2IT. IN2IT memang best! I think dah nak setaraf dengan Maybelline dah hihi. My eyeliner will always be maybelline hypersharp. I always repurchase this maybe because it is easy to use and affordable. I haven't try this one yet maybe i should try later. Thanks for recommending! Dulu Silkygirl, tapi sekarang Catrice! Memang best.